With the launch of our new Summit® charcoal grill comes several new accessories designed specifically for the newest member of our family. The expansion grilling rack adds an additional 165 square inches of grilling space, allowing you to easily grill for large crowds. The 22" x 12" rack also fits 26" Weber charcoal grills, 22" Smokey Mountain Cooker™ Smoker, Genesis® and Summit® gas grills (with warming rack removed). The 21" handle on this stainless steel charcoal rake makes it easy and convenient to safely arrange lit charcoal. 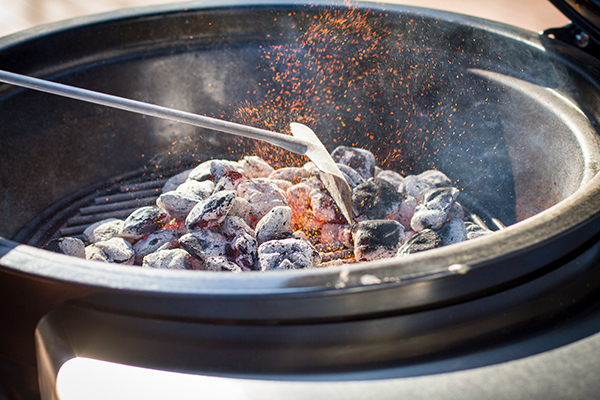 The long handle is perfect for any size charcoal grill. 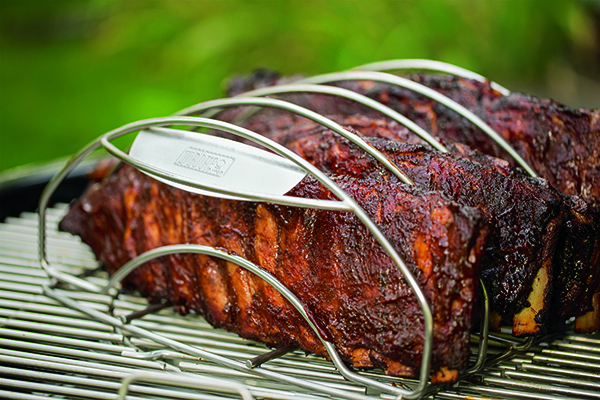 This extra-large, heavy-duty stainless steel rib rack makes it easy to smoke multiple racks of ribs at once, and the extra wide slots make it easier than ever to remove the ribs without tearing the meat. 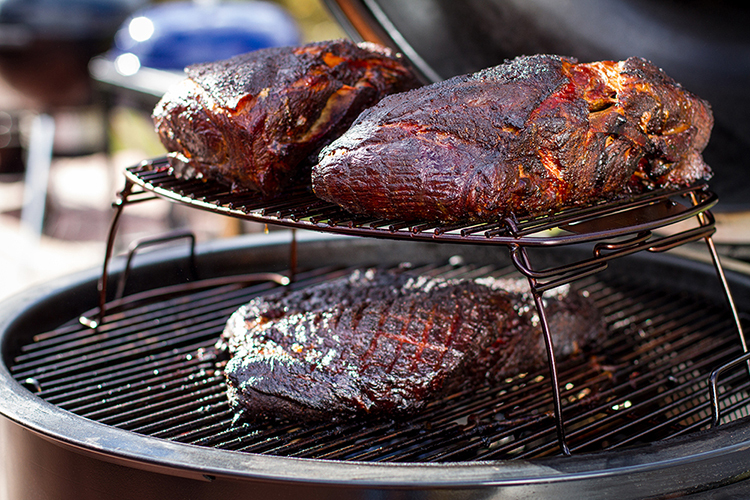 This rack fits on 22" and larger Weber charcoal grills, Smokey Mountain Cooker™ Smoker, Genesis® and Summit® Gas grills (with warming rack removed). 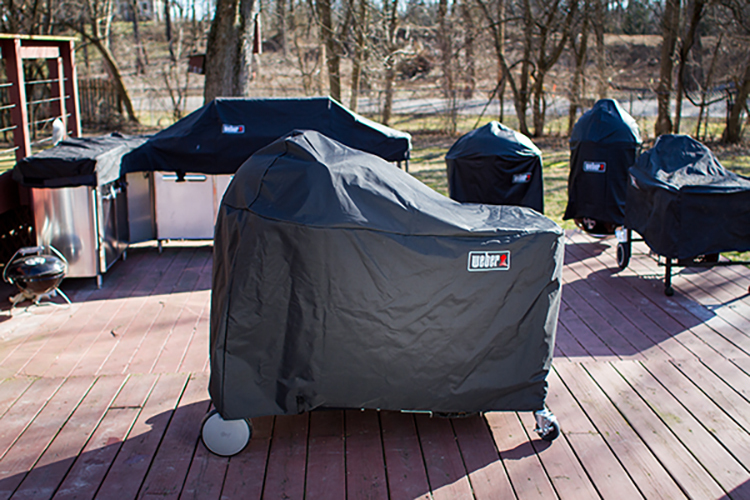 Protect your investment with our all-weather, water and UV resistant, breathable grill cover specifically designed for the Summit® charcoal grill and the Summit® charcoal grilling center.